Cross Body Bag - Candy - Black color Super favorite wardrobe item that really can go perfectly with anything. 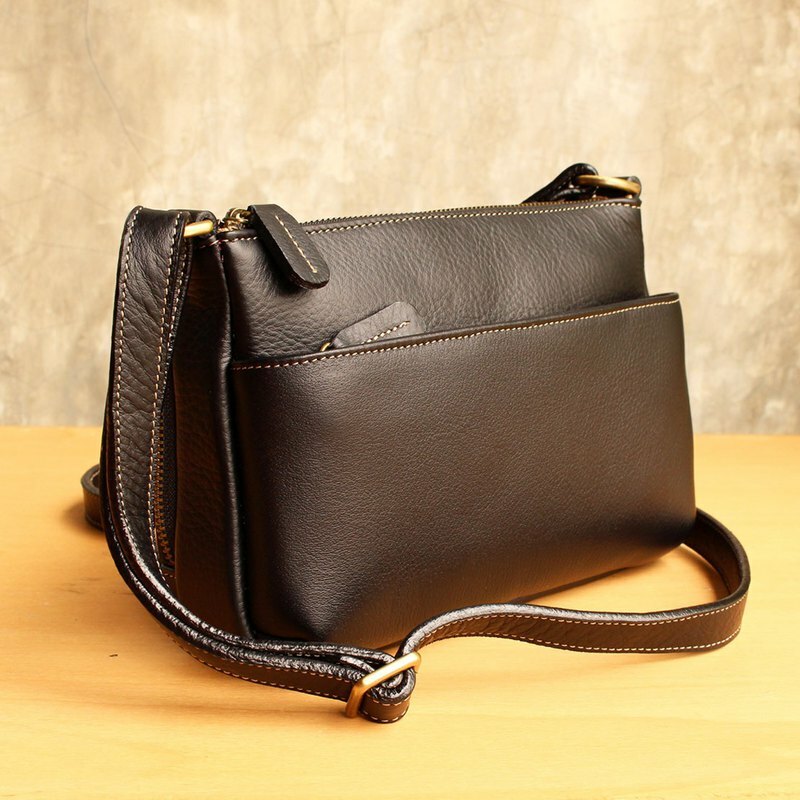 Cross Body Bag - Candy - Black color Super favorite wardrobe item that really can go perfectly with anything. Whether you're wearing a little black dress, or cut-off shorts and a t-shirt or even on your working day, you'll be looking chic and classy. It will easily fit your iPad mini / e-reader or pocket book , with plenty of room for personal items, phones, etc. Interior features -- 1 front zipper pockets (9x22 cm.) 1 zip top pocket with 2 zipper pockets & 2 compartments inside 1 back zipper pockets (11x22 cm.) -- zip around !! with 1 zipper pocket & 2 compartments inside Size : 14x22x4 cm. (HxWxD) plus 1.5 cm. depth front zip pocket + 1 cm. depth back zip pocket 130 cm. Leather shoulder strap (adjustable) Color : Black **Please allow for some variation in color as displayed on different devices and screens. Actual colors may vary. Burgundy : https://th.pinkoi.com/product/GCmTETVy Green : https://th.pinkoi.com/product/tVuQaHMH Material : Genuine Cow Leather, Cream suede-like fabric lining--easy to find your essentials!! Expected Delivery Date : For Taiwan , Hong Kong and Macau destination, your orders are estimated to arrive within 7-14 business days.